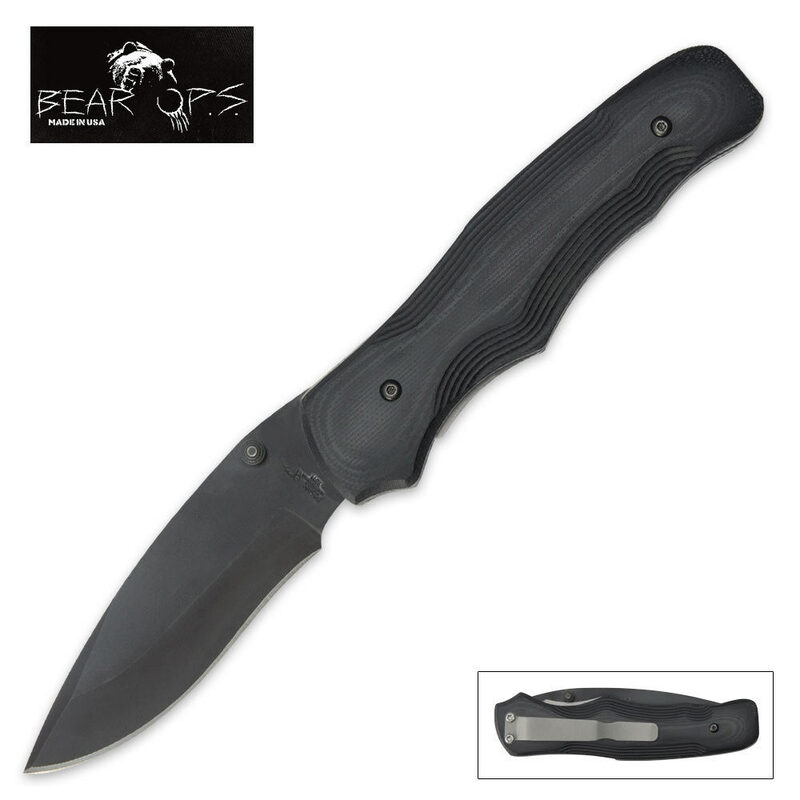 Bear Ops Tactical Pocket Knife Modified Drop Point Titanium Black | BUDK.com - Knives & Swords At The Lowest Prices! Crafted by Bear OPS, a division of Bear and Son Cutlery, this Bear OPS knife features an S30V stainless steel modified drop point blade with a titanium black finish. S30V steel is a premium grade stainless steel crafted especially for knife blades, providing uniform carbide distribution and clean steel properties. It offers excellent resistance and superior edge qualities. This knife also provides an ambidextrous thumb stud for easy blade accessibility, Linerlock® locking mechanism, and a comfortable black Zytel® handle. Measures 4 3/8” closed, 7 ½” overall. Made in the USA.